Future robots will work side by side with humans, just as they do today. The technologies driving artificial intelligence are expanding exponentially, leading many technology experts and futurists to predict machines will soon be doing many of the jobs that humans do today. Some even predict humans could lose control over their future. While we agree about the seismic changes afoot, we don’t believe this is the right way to think about it. Approaching the challenge this way assumes society has to be passive about how tomorrow’s technologies are designed and implemented. The truth is there is no absolute law that determines the shape and consequences of innovation. We can all influence where it takes us. 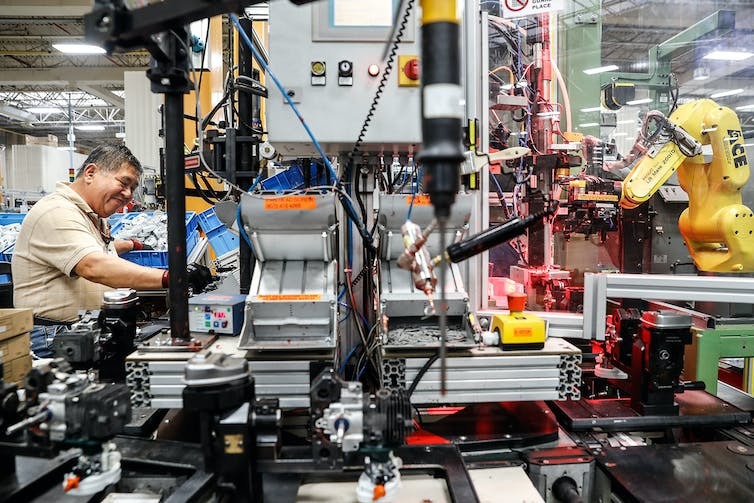 The Japanese have an apt phrase for this: “giving wisdom to the machines.” And the wisdom comes from workers and an integrated approach to technology design, as our research shows. There is no question coming technologies like AI will eliminate some jobs, as did those of the past. 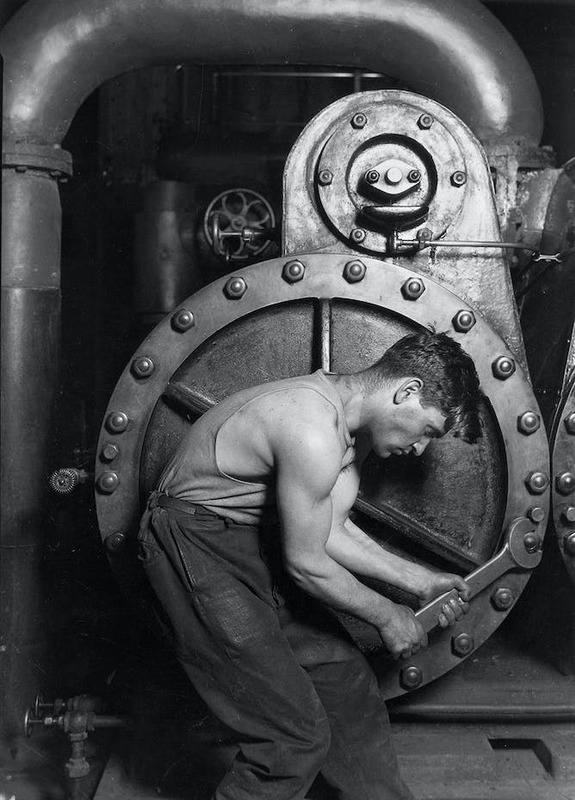 The invention of the steam engine was supposed to reduce the number of manufacturing workers. Instead, their ranks soared. More than half of the American workforce was involved in farming in the 1890s, back when it was a physically demanding, labor-intensive industry. Today, thanks to mechanization and the use of sophisticated data analytics to handle the operation of crops and cattle, fewer than 2 percent are in agriculture, yet their output is significantly higher. But new technologies will also create new jobs. After steam engines replaced water wheels as the source of power in manufacturing in the 1800s, the sector expanded sevenfold, from 1.2 million jobs in 1830 to 8.3 million by 1910. Similarly, many feared that the ATM’s emergence in the early 1970s would replace bank tellers. Yet even though the machines are now ubiquitous, there are actually more tellers today doing a wider variety of customer service tasks. So trying to predict whether a new wave of technologies will create more jobs than it will destroy is not worth the effort, and even the experts are split 50-50. It’s particularly pointless given that perhaps fewer than 5 percent of current occupations are likely to disappear entirely in the next decade, according to a detailed study by McKinsey. Instead, let’s focus on the changes they’ll make to how people work. To understand why, it’s helpful to think of a job as made up of a collection of tasks that can be carried out in different ways when supported by new technologies. One of the McKinsey study’s key findings was that about a third of the tasks performed in 60 percent of today’s jobs are likely to be eliminated or altered significantly by coming technologies. In other words, the vast majority of our jobs will still be there, but what we do on a daily basis will change drastically. To date, robotics and other digital technologies have had their biggest effects on mostly routine tasks like spell-checking and those that are dangerous, dirty or hard, such as lifting heavy tires onto a wheel on an assembly line. Advances in AI and machine learning will significantly expand the array of tasks and occupations affected. We have been exploring these issues for years as part of our ongoing discussions on how to remake labor for the 21st century. In our recently published book, “Shaping the Future of Work: A Handbook for Change and a New Social Contract,” we describe why society needs an integrated strategy to gain control over how future technologies will affect work. And that strategy starts with helping define the problems humans want new technologies to solve. We shouldn’t be leaving this solely to their inventors. Fortunately, some engineers and AI experts are recognizing that the end users of a new technology must have a central role in guiding its design to specify which problems they’re trying to solve. The second step is ensuring that these technologies are designed alongside the work systems with which they will be paired. A so-called simultaneous design process produces better results for both the companies and their workers compared with a sequential strategy – typical today – which involves designing a technology and only later considering the impact on a workforce. An excellent illustration of simultaneous design is how Toyota handled the introduction of robotics onto its assembly lines in the 1980s. Unlike rivals such as General Motors that followed a sequential strategy, the Japanese automaker redesigned its work systems at the same time, which allowed it to get the most out of the new technologies and its employees. Importantly, Toyota solicited ideas for improving operations directly from workers. In doing so, Toyota achieved higher productivity and quality in its plants than competitors like GM that invested heavily in stand-alone automation before they began to alter work systems. Similarly, businesses that tweaked their work systems in concert with investing in IT in the 1990s outperformed those that didn’t. And health care companies like Kaiser Permanente and others learned the same lesson as they introduced electronic medical records over the past decade. Each example demonstrates that the introduction of a new technology does more than just eliminate jobs. If managed well, it can change how work is done in ways that can both increase productivity and the level of service by augmenting the tasks humans do. But the process doesn’t end there. Companies need to invest in continuous training so their workers are ready to help influence, use and adapt to technological changes. That’s the third step in getting the most out of new technologies. And it needs to begin before they are introduced. The important part of this is that workers need to learn what some are calling “hybrid” skills: a combination of technical knowledge of the new technology with aptitudes for communications and problem-solving. Companies whose workers have these skills will have the best chance of getting the biggest return on their technology investments. It is not surprising that these hybrid skills are now in high and growing demand and command good salaries. None of this is to deny that some jobs will be eliminated and some workers will be displaced. So the final element of an integrated strategy must be to help those displaced find new jobs and compensate those unable to do so for the losses endured. Ford and the United Auto Workers, for example, offered generous early retirement benefits and cash severance payments in addition to retraining assistance when the company downsized from 2007 to 2010. Examples like this will need to become the norm in the years ahead. Failure to treat displaced workers equitably will only widen the gaps between winners and losers in the future economy that are now already all too apparent.